To say it has been a busy winter around Bicknell Racing Products would be an understatement. With the newly acquired CSC (Canadian Stock Car Product), and gearing up for the DirtCar Nationals in Florida, the work pace at the shop has been at a record level. “We are excited to be joining the Motorama Custom Cars and Motorsports Expo show in Toronto in March as part of CSC”, says Erica Bicknell Jones. “We will have helmets, fire suits and other protective wear, Hoosier tire Canada will also be on display in our booth and we welcome all customer new and old to come and see us”. The show is also going to display the fabrication side of CSC which has created new employment opportunities at Bicknell’s. The ever growing company has been completing a few cage orders a week and has shipped all across Canada and the United States. The Motorama Custom Cars and Motorsports Expo runs March 10 - 12 at the International Center in Toronto. Aside from CSC, Bicknell Racing Products is on track for its busiest year. “In 2004 we built 238 cars” explains Randy Williamson, part of the ownership team at Bicknell Racing Products. “That year we delivered car 150 on Feb 9 and this year we delivered car 150 on Feb 10”. It is only going to get busier from here on in as the guys and gals get ready to head to Florida next week anticipating bringing home some Gators. “It would be great if we swept the Weekend” explains Williamson, “no matter what, our customers are going to show that for another year Bicknell Racing Products is going to be a force to be reckoned with”. Last year’s DirtCar National at Volusia saw Bicknell Racing Products customer’s pick-up two of the four wins. 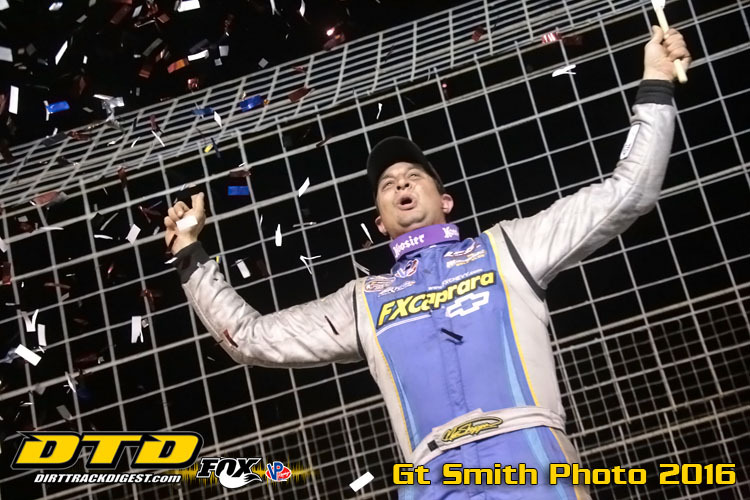 A very memorable weekend as Tim Fuller would take the checkered on Wednesday night, holding off Billy dunn and Thursday night was all Matt Sheppard, picking up his first win of the season with his own team. Whatever happens, the dedicated team at Bicknell Racing Products will be cheering on all their customers competing over the course of the next week, and are looking forward to the start of the 2017 racing season. After Florida though, it will be back to business as Bicknell Racing Products is booked up until April for Car deliveries. Everybody in the shop is working hard, building 7 cars a week. With dedication like this, it’s no wonder they are number one, both with their customers, and on the track.